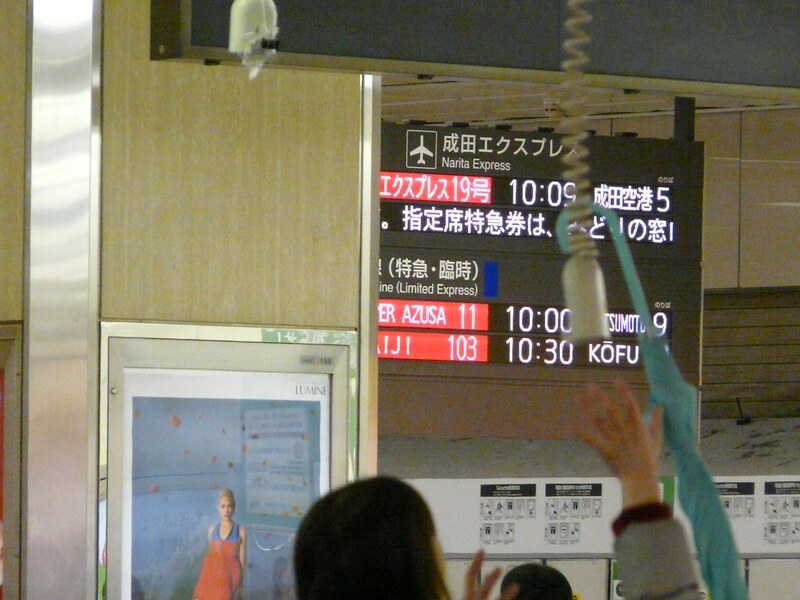 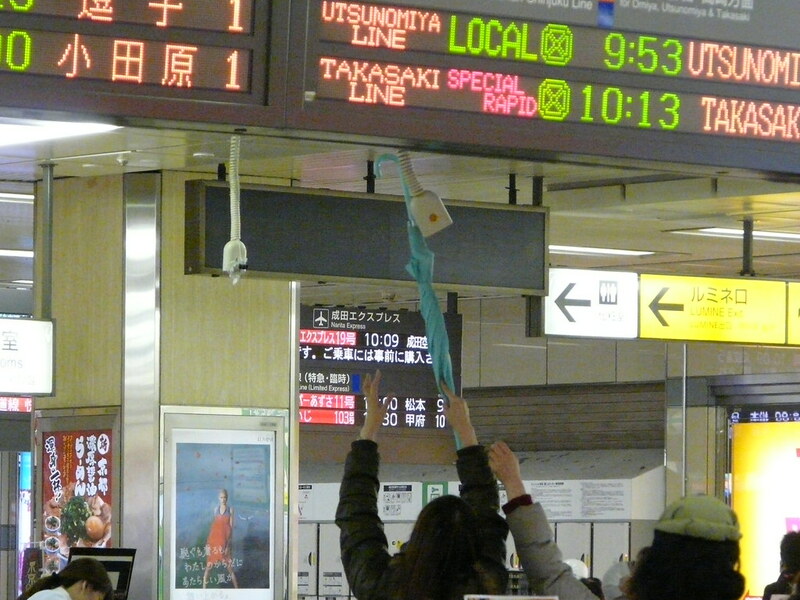 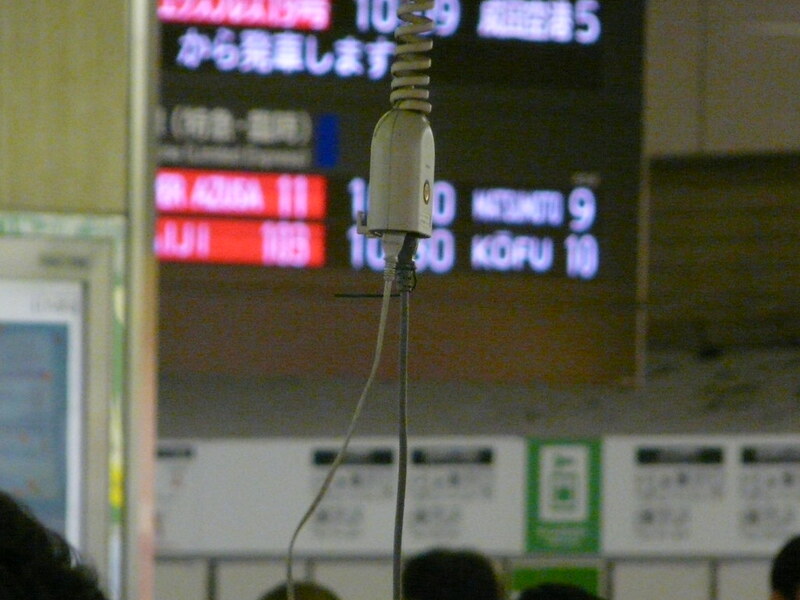 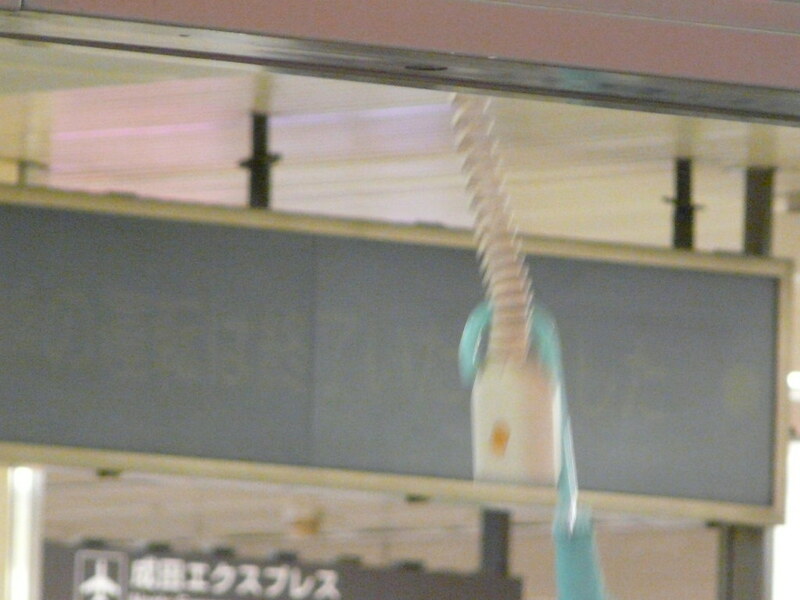 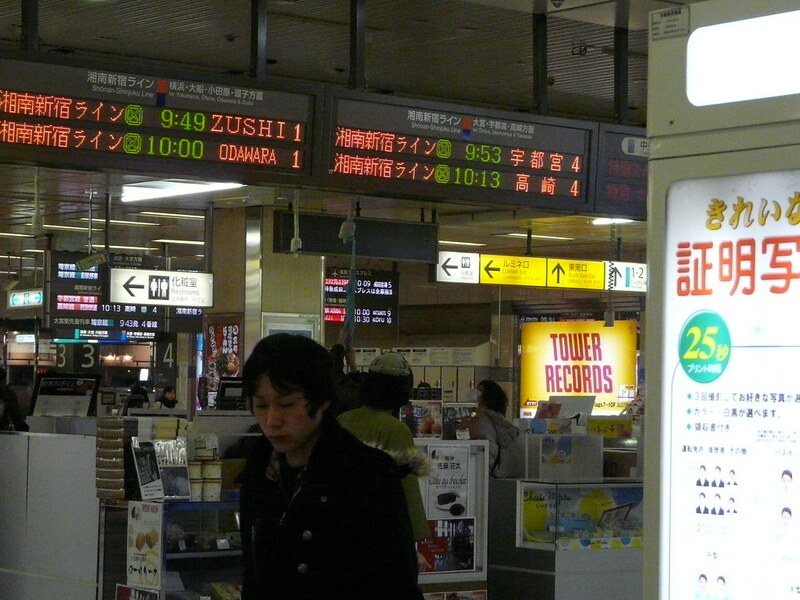 The temporary stalls in Shinjuku Station are powered by overhead sockets, necessitating umbrella storage on-site for the morning plug-in. 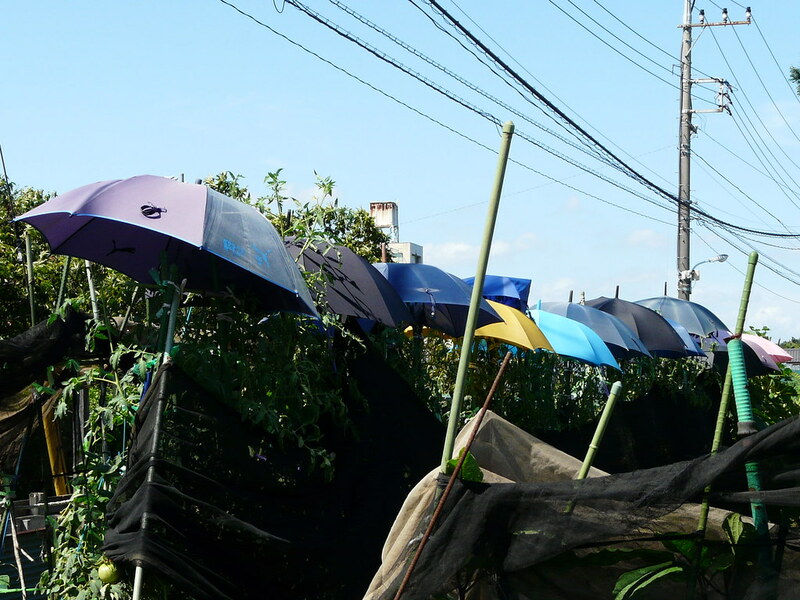 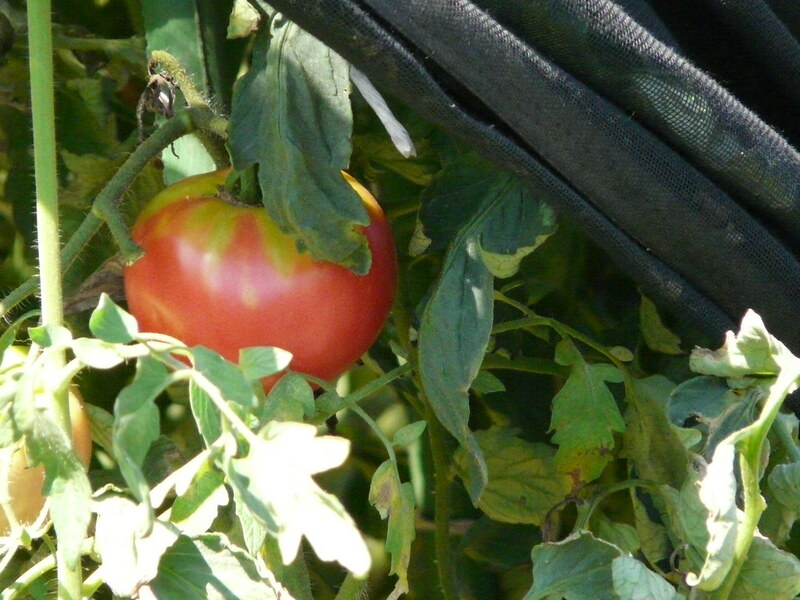 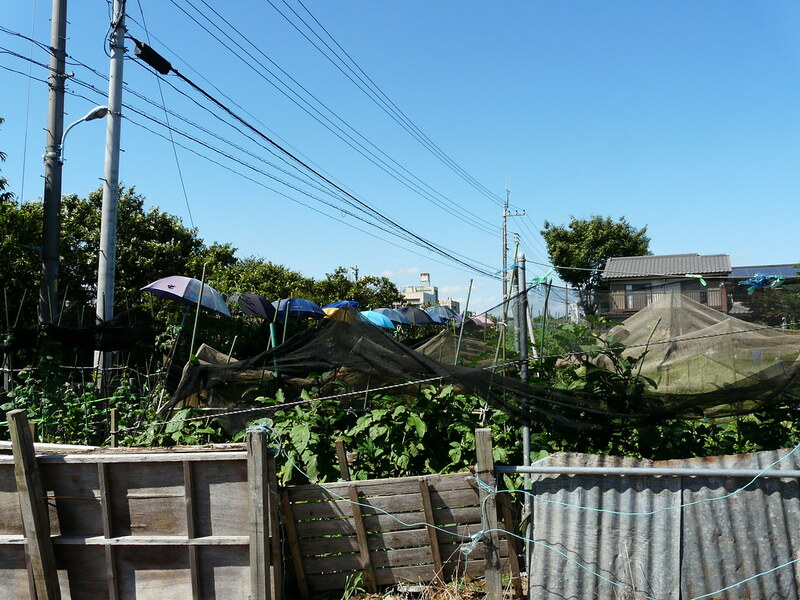 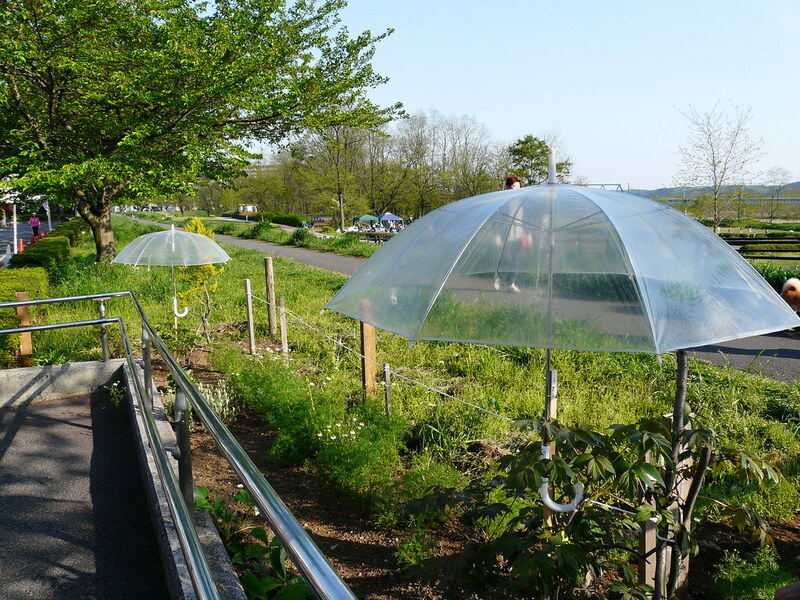 A row of tomato vines protected from the harsh Tokyo summer with a whole lot of umbrellas. 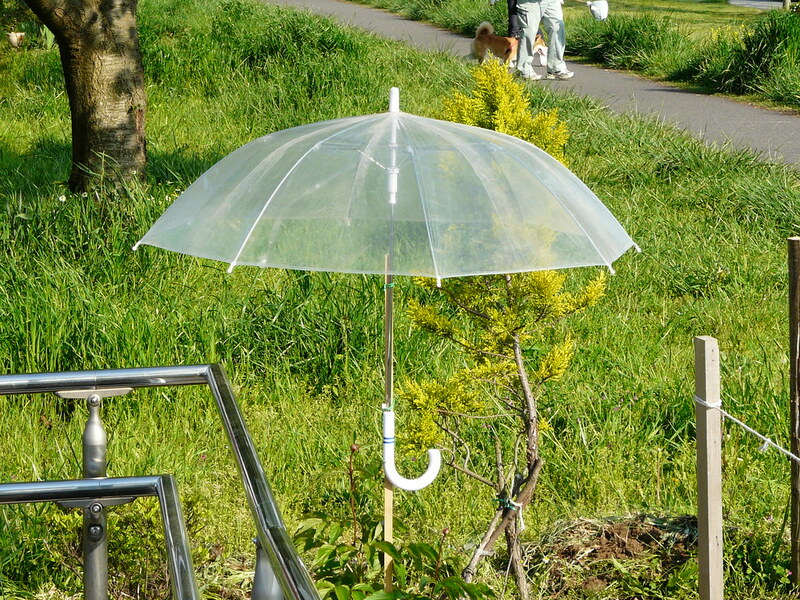 Japan’s annual umbrella consumption is estimated to be around 130 million (more than one per person, per year) [ref] (324,102 were lost and turned over to the police lost-and-found in Tokyo, 2001 [ref]). 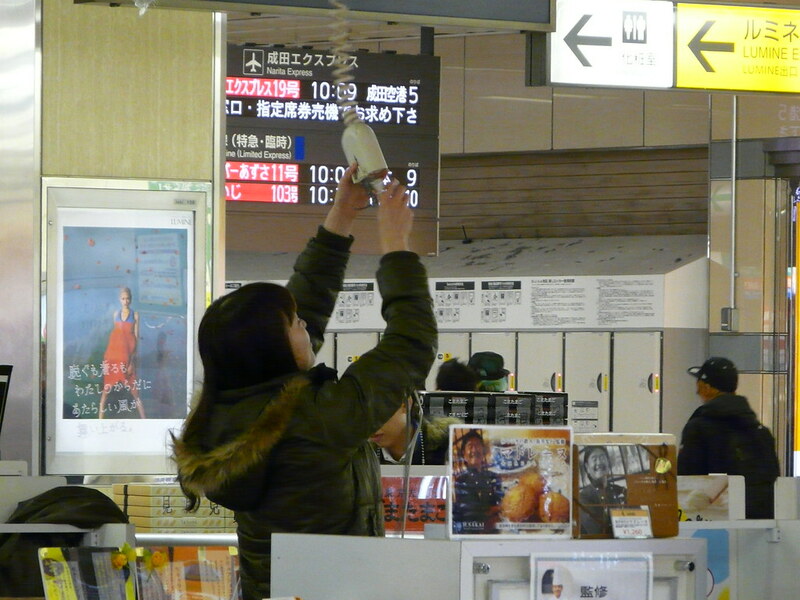 Now you know where part of that ends up…. 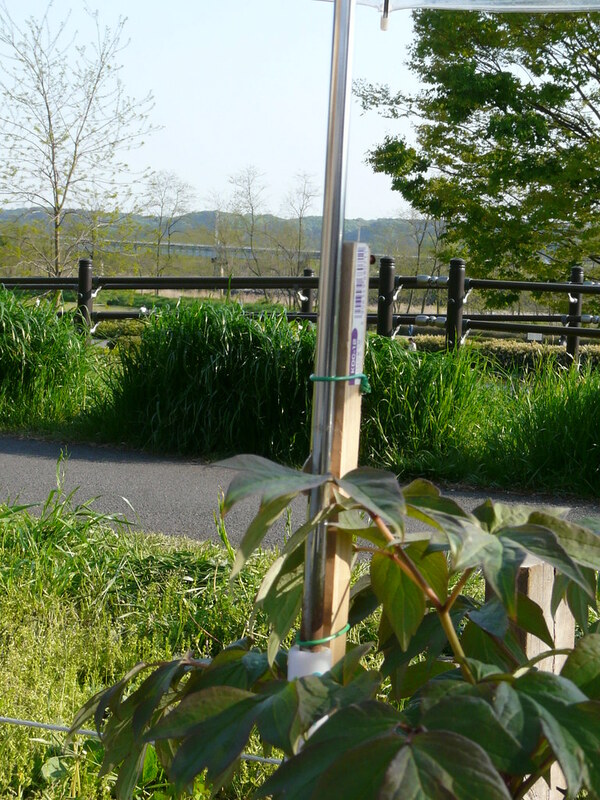 Umbrellas attached to wooden stakes with wire protect newly planted shrubs in an informal garden along the Tamagawa cycling track in western Tokyo.